Government support sought to extend mobile broadband to the bush. The Bush Alliance said it largely supported a Vodafone-commissioned report by the McKell Institute that argued that the NBN should better support mobile services. However, the Bush Alliance added that mobile coverage should be extended to the 3 per cent of premises currently set to receive NBN satellite Internet. “Mobile access is an essential element for the future of remote and rural Australia. While we support many of the report’s recommendations, when discussing mobile coverage we simply can’t forget the bush!” said John Huigen, Chair, Broadband for the Bush Alliance. NBN 2.0: What future for Australia's National Broadband Network? 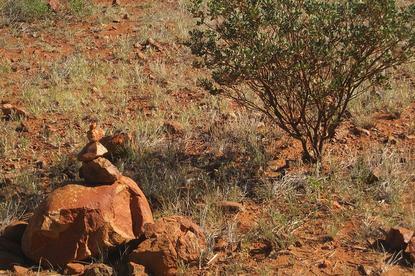 Members of the Bush Alliance include the Australian Communications Consumers Action Network (ACCAN), the Central Land Council, Regional Development Australia (Northern Territory) and the Indigenous Remote Communications Association. When NBN Co's satellite service is launched, expected to be in 2015, remote areas will receive speeds of up to 25Mbps download and 5 Mbps upload. NBN Co is currently offering a slower, interim satellite service using existing satellite capacity from other operators. The service does not include a phone line like the fibre flavour of NBN. The Bush Alliance said extending mobile coverage could be achieved using the NBN and existing infrastructure. The Coalition government has said it will consider opening the NBN network to mobile telcos for backhaul purposes. Relying on competition alone won’t extend mobile coverage to remote areas, and government assistance will be required, the Bush Alliance said. “There are a number of opportunities here – sharing existing towers and cable as well as using satellite for backhaul are among them,” said Huigen.